How Do We Listen? is an interdisciplinary project that tells the story of sisters Angee and Judie Acquin (Wolastoqew), whose grandmother, Virginia Acquin, and grandmother’s sister Doris were sent to the Shubenacadie Indian Residential School in what is known today as the Province of Nova Scotia. Doris drowned at Shubenacadie. Their grandmother Viginia suffered the long-term effects of her experiences at the Indian Residential School, with the intergenerational effects carried forward to subsequent generations of the Acquin family. The work employs Indigenous and early European art music, text, live-performed soundscapes, a script, and whisper texts, performed by a team of artists and scholars that includes Angee Acquin (Wolastoq writer and speaker), Hubert Francis (Mi’kmaw singer, drummer, speaker), Judie Acquin (Wolastoq singer, drummer, speaker), Brian Francis (Mi’kmaw, film director and visuals), Linda Pearse (artistic director, Baroque trombonist), Ann Waltner (scriptwriter, speaker), Joel Miller (composer), John Watkins (literary scholar and speaker), and members of the early music ensemble ¡Sacabuche! The title, “How Do We Listen?” puts the burden of listening on non-Indigenous people, those whose ability to connect meaningfully with Indigenous peoples might contribute to an improved conversation surrounding Indigenous issues and a more nuanced understanding of the Indigenous experience. Listening to stories like that of the Acquin sisters is an important step in understanding the ongoing issues and the legacy of intergenerational trauma of the Indian Residential School experienced by survivors and their families. The rich tradition of music-making in Austrian and Czech lands during the 17th-century combines an Italianate style with local music traditions. This unique program brings beautiful yet unknown and lesser-known works housed in the archives of the Kroměříž Archive in the Czech Republic (CZ-KRa) and other European libraries to the stage. Vivid writing for voice, violins, cornettos, trombones, and organ colours these stunning works by composers of the mid-seventeenth century in Austria and Czech lands, including Antonio Bertali, Buonamente, Vejvanovsky and anonymous composers. Their music testifies to the rich tradition and opulence of the Habsburg court and its expansive influence. The majority of these works do not exist in modern editions nor in recorded format. As such, this program brings new works to the ears and eyes of modern audiences. Italian innovations in musical style and expression during the late 16th and early17th centuries included a heightened sensitivity to text expression, the better to move the affections of the listener. The new style spread through the courts and musical life of Europe, mixing with local influences. This program highlights this music through works by Luca Marenzio and his Italian colleagues, and showcases the stunning Mazurka-influenced Italian-style instrumental works, and concerted vocal textures of Polish composers Adam Jarzębski, Nicolaus Zielenski, Stanisław Sylwester Szarzyński, and others. Venice was a leading center for the dramatic musical developments at the turn of the 17th century. Its relative independence of the Catholic church in Rome, its cosmopolitan economic and social life, and the affluence of its private citizens and churches created the perfect environment for engagement with the “modern” style. The developments in dramatic music were paralleled in the instrumental idiom—the specification of instruments, the development of virtuosic writing, and the search for expression led to the creation of stunning works for This program explores this repertoire with breath-taking works by Venetian composers like Giovanni Gabrieli, Dario Castello, and Giovanni Legrenzi. It also explores the far-reaching influence that Venetian composers exerted elsewhere in 17th-century Europe with works by Polish, German, and Viennese masters. A multi-media performance reanimating the pivotal cultural exchange between Italian Jesuits and Chinese literati in 17th-century China. This program combines music and dramatic readings, visually framed by a projected digitized version of the world map that Matteo Ricci created and presented to the Wanli Emperor. The repertoire includes Italian and Chinese music of Ricci’s time, as well as collaborative new works written for ¡Sacabuche! by Chinese composer Huang Ruo. Traditional Chinese instrumentalists join ¡Sacabuche!, who perform on Baroque instruments. The “Missa La Spagna” is based on a popular dance melody from the early sixteenth century. ¡Sacabuche! presents the mass as it might have been heard in the village square, its movements surrounded by lively secular dance tunes and lyrical motets. Voices with sackbuts, dulcian, recorder and cornetto create sublime textures and provide a unique glimpse into the fascinating world of the Habsburg and Medici courts. This program explores the stunningly beautiful writing of Venetian and Viennese composers at the turn of the seventeenth century. The rich sonorities of both vocal and instrumental textures come alive in the works of Giovanni Gabrieli, Claudio Monteverdi, Heinrich Schütz and Dario Castello. Large-scale vocal works featuring sackbuts, cornettos, and violins are contrasted with virtuosic instrumental solos. It is a feast for the ears, heart and soul. The Glories of Venice and Vienna: A Programme of 17th-Century Music by Viennese and Venetian Composers, St. Paul’s Anglican Church, Nanaimo, B.C. The Glories of Venice and Vienna: A Programme of 17th-Century Music by Viennese and Venetian Composers, Alix Goolden Hall, Victoria, B.C. Venetian Influences (outreach performance and demonstrations), Changping No. 1 High School, Beijing, China, Contributors: ¡Sacabuche! 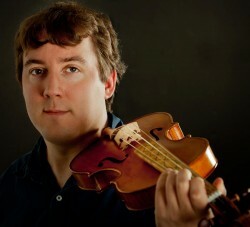 James Andrewes began violin studies at the age of five in Dunedin, New Zealand and attained a Bachelor of Music degree (University of Otago), Master of Music degree (University of Oregon), and a Post-­‐Masters Certificate in String Quartet Performance (University of Colorado). In 2011 he graduated with a second Masters at Indiana University, where he studied Early Music and baroque violin with Stanley Ritchie. In addition performing as a member of ¡Sacabuche!, James has performed with a variety of baroque ensembles, including the Indianapolis Baroque Orchestra, Baroque Band, Ars Lyrica and the Orchestra of New Spain. He currently lives in Fort Worth, Texas. Chris Canapa is a DM-Trombone Performance student at the University of Indiana, where he studies with Carl Lenthe and Linda Pearse. Chris has studied with Tom Ashworth, John Tranter (University of Minnesota) and Mark Hoelscher (Concodia University-Mequon). A native of Milwaukee, he has soloed with the Concordia University Wind Ensemble (2001) and the St. Paul Civic Orchestra (2005). 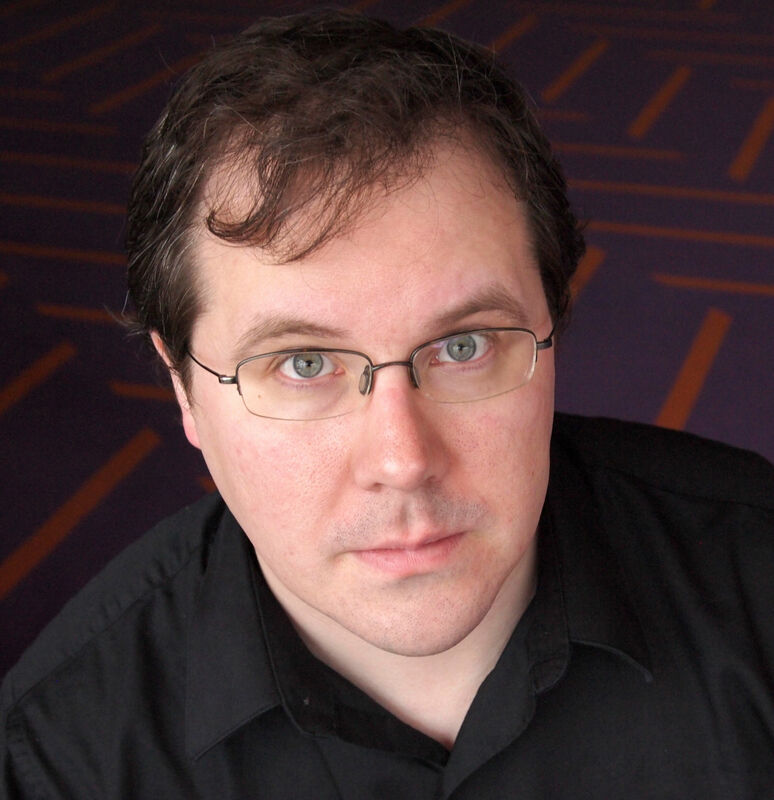 Between receiving his MM in 2004 and returning to academia in 2012, Chris performed regularly with orchestras in the greater Milwaukee area, including the Milwaukee Ballet Orchestra, Madison Opera Orchestra, Wisconsin Philharmonic, and Sheboygan Symphony. He was the Adjunct Professor of Low Brass at Concordia University-Mequon and the University of Wisconsin-Washington County. Chris began his tenure with ¡Sacabuche! 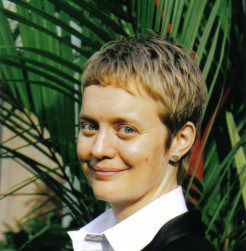 in January of 2012 while studying early music performance with Linda Pearse, and has since traveled with the group on successful tours of Macao, New Brunswick, and British Columbia. 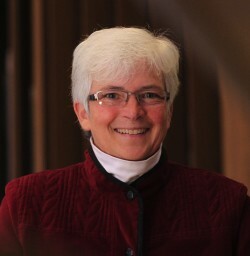 Gayle h. Martin is University Organist and Associate Professor of Music at Mount Allison University, in New Brunswick Canada where she teaches organ performance, choral conducting, and directs the early music ensembles Opella Nova and Duo Seraphim. Martin’s passion for music, animals and nature began in the countryside where she grew up, the beautiful Green Mountain State of Vermont. She holds degrees from the Crane School of Music (B.Mus), McGill University (M.Mus) and the University of Alberta (DMus). Martin was organist at the American Cathedral in Paris and lived in the cathedral tower. She received a premier prix à unanimité from the Conservatoire de Rueil Malmaison, studying under the tutelage of renowned organists Jean Langlais and Susan Landale. She can be heard on numerous recordings, including her solo CD Prism. Since 2011, she performs regularly with ¡Sacabuche!. Linda Pearse is recognized as a specialist in the exquisite musical repertoire of early seventeenth-century Italy. Pearse is Associate Professor of Music at Mount Allison University (Canada) and Lecturer on Early Trombones at the Historic Performance Institute, Jacobs School of Music, Indiana University Bloomington. Following jazz studies at McGill University, a career in Europe included regular performances with the Stuttgart Philharmoniker, Stuttgart Opera House, the Basel Symphony, La Cetra, piano possibile, and the Stuttgart Musical Theater. Pearse is the Artistic Director of the San Francisco Early Music Summer Baroque Workshop, the Sackville Festival of Early Music and of the early music ensemble ¡Sacabuche! Extensive touring includes performances in Beijing (China), Hong Kong and Macau (China), Victoria, Nanaimo, Salt Spring Island, Vancouver, Minneapolis, Indianapolis, New York, San Francisco, Bloomington (IN), Madison (WI), Kansas City, and Houston. In addition to music-only programs, Pearse’s interdisciplinary projects engage new music, early music, texts, soundscapes, and images in conversations that explore cultural contacts and collisions in the early modern period. Her critical edition of Seventeenth-Century Italian Motets with Trombone is published with A-R Editions (April 2014). With ¡Sacabuche!, she released an album of Seventeenth-century Italian Motets on the ATMA Classique label (Sept 2015). 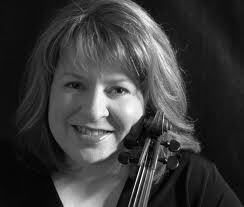 Martha Perry, baroque violin and viola, whose playing has been called “…ideally realized…taut and loaded with nuance” (Atlanta Journal-Constitution), and “highly expressive” (Boston Musical-Intelligencer) has developed a national career as a respected baroque specialist. She performs with many North American period instrument ensembles, including ¡Sacabuche!, the Indianapolis, Atlanta and North Carolina Baroque Orchestras, Washington Bach Consort, Bourbon Baroque, Spire Ensemble Orchestra, Mallarme Chamber Players, Three Notch’d Road, and Bach Collegium Fort Wayne, as well as with the ensemble she founded and directs, Heartland Baroque. Having appeared in productions with Opera Lafayette, Chatham Baroque, National Cathedral Baroque Orchestra, at Wolftrap, for the Magnolia, St. Louis, Indianapolis, Vancouver, and Bloomington Early Music Festivals, the Victoria Bach Festival, and in Italy’s Musica nel Chiostro, Martha also performed for the 2013 Public Radio International Christmas Program, “Glad Tidings.” She has been heard in a live international broadcast on Chicago’s WFMT radio, on the early music program “Harmonia,” and on NPR’s “Performance Today,” and has recorded for Edition Lilac, Musica Omnia, Naxos, WFIU, Cedille, the National Cathedral, ATMA Classique, and Concordia Records. Martha received her Masters degree in early music performance from the Indiana University Jacobs School of Music Historical Performance Institute, where she studied with Stanley Ritchie, and was graduate assistant for the baroque orchestra.